The sanctuary is a memorial to John Jacob Helstrom, a native of West Michigan, who grew up in a family that loved nature with an appreciation for the Michigan outdoors. Along with his parents and sister, he enjoyed taking trips to the Upper Peninsula and seeing the beautiful landscapes along the Lake Superior shore. He had a keen interest in geology and often brought his rock hammer along to take specimens home to study. He also had an interest in studying plants and animals he saw in the U.P. 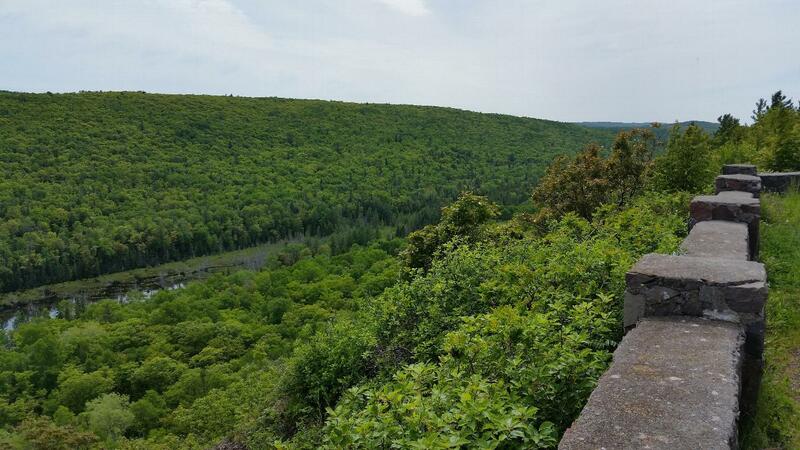 The Keweenaw Peninsula, especially Brockway Mountain, was a favorite place that he treasured as he visited there throughout his entire life. 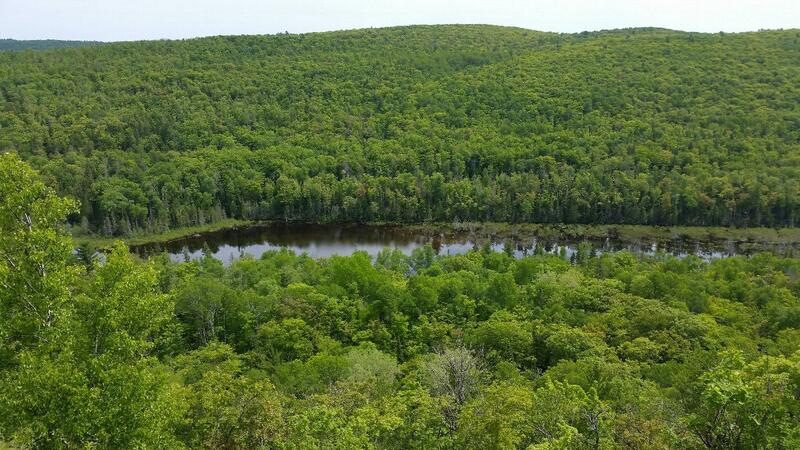 As a result of these experiences, John developed a lifelong desire to preserve, untouched by development, the beauty of the area, especially Brockway Mountain. John attended the University of Michigan graduating with a degree in chemical engineering. His career was spent as a research scientist with Standard Oil Corporation working in Dayton, Ohio and later Naperville, Illinois. Even though he lived in urban areas, his heart was always for the natural places. The John J. Helstrom Nature Sanctuary is located high along Brockway Mountain Drive; in fact, 3/8 mile of the scenic drive passes through the sanctuary. It is located just east of MNA's Klipfel Memorial Nature Sanctuary. The vegetation is dwarfed by the grueling winds and inhospitable climate. This semi-alpine habitat has a magnificent covering of grasses, sedges, creeping ground covers, and small shrubs with flowers that thrive in the full sunlight. Heart-leaved arnica (Arnica cordifolia), an endangered Michigan species, thrives in the dry, alkaline conditions provided by the calcite-bearing conglomerate rock on Brockway Mountain. Numerous other plants are found on the cliff and in the exposed glades, including small blue-eyed mary, purple cliffbreak, little grape fern, moonwort fern, and the green adder's mouth orchid. This overlook provides an extraordinary opportunity to watch hawks and other birds during their spring migration. The birds use thermal updrafts created by topography and rising warm air. Thousands of raptors, owls, and other birds use this method of flying. 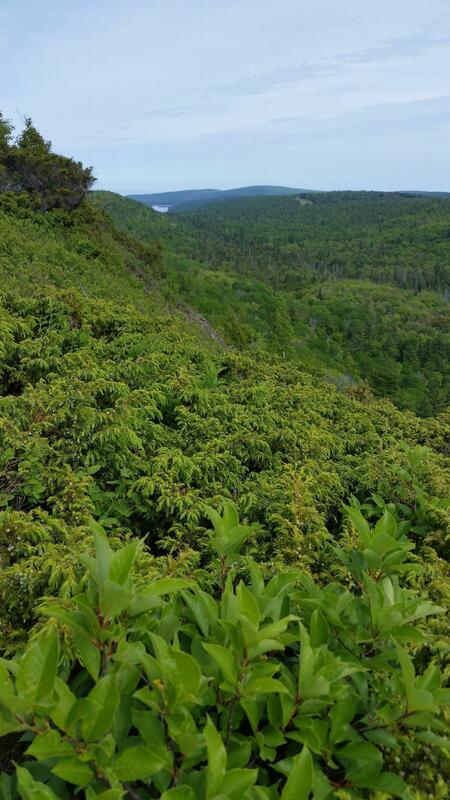 At the bottom of the cliff and in the southern third of the sanctuary, northern mesic forest and mixed conifer swamp are present. The wetlands within this area drain into Garden Brook, which passes through Rooks Memorial Nature Sanctuary further downstream as the brook flows toward Copper Harbor and Lake Fanny Hooe.